"I’m struggling to find clients"
"I’m working night and day with very little time for my own pets"
"I wish I could be as good as trainer X"
"I’m struggling with my prices"
"I want to push my business to the next level but don’t know where to start?" With a background in counselling, mentoring and business coaching, Helen combined my skills and love of people and animals which was the beginnings of a very special community. She knew there were lots of online marketing courses and great organisations out there focusing on the training and pet care side of our industry, but no memberships or organisations that combined marketing, business and personal development. 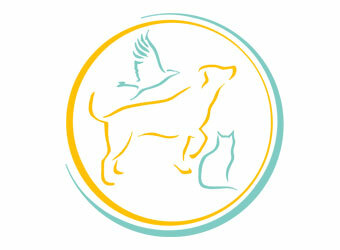 The Pet Professional Network is an international, force free, members only organisation for pet professionals. As one of the first people focused organisations we give a true sense of belonging in a safe and confidential environment. Grow or expand your business, have more time, money and freedom from the very best support and advice in all aspects of business marketing, growth, personal development and mindset support. They are proud to work in collaboration with modern, world class training and behavioural institutes and have a strong team of Affiliate Members made up of the most respected dog trainers, pet professionals and business coaches. Being part of the PPN family means you give others the confidence that you are providing your clients ethical and effective services to help move them forward. Members are welcomed who use modern day, ethical training/walking/pet care methods that do not inflict any pain, force or intimidation on either people or animals. We do not tolerate: collar jerks, bullying, intentional flooding, e-collars, citronella collars, pet correctors and dominance/pack methods. The PPN moto is 'Together We Are Stronger' and we are a people focused organisation. Our launch party - you're invited!